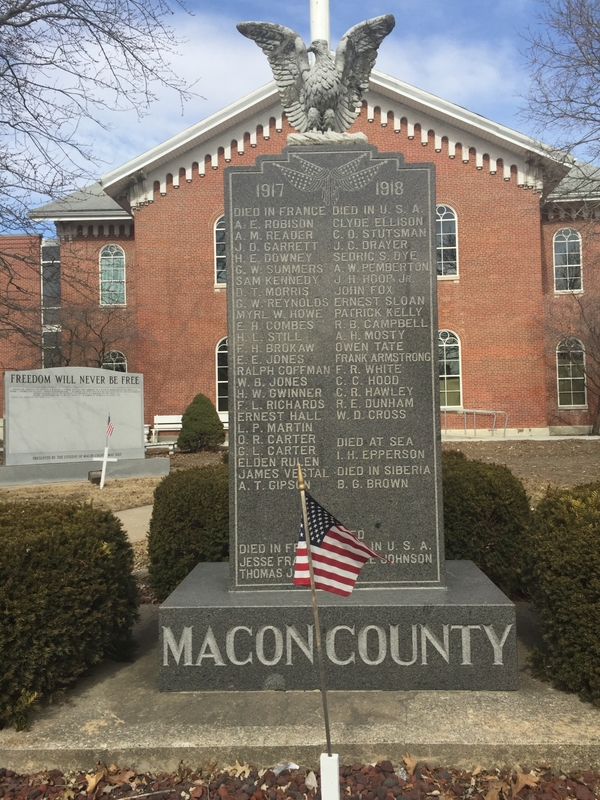 Located on the south lawn of the Macon County Courthouse, the memorial comprises a black granite shaft incised with the names of those from Macon County who died in the war. 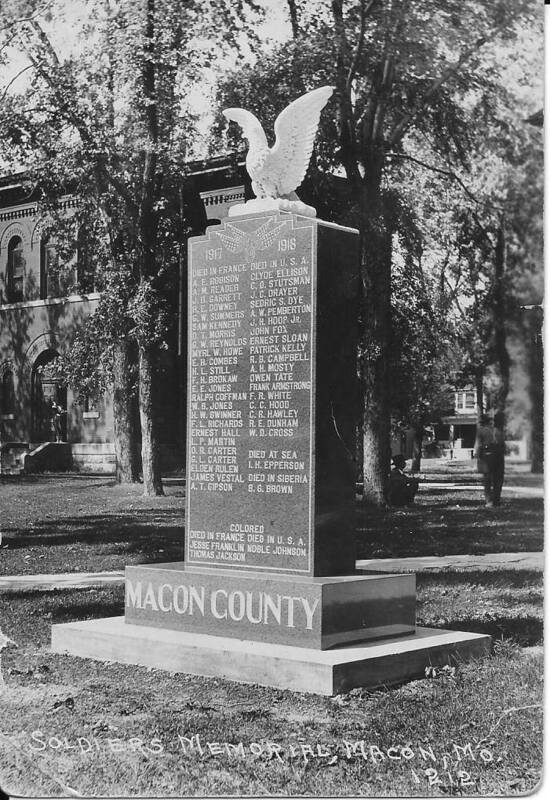 The shaft sits on a black granite base that is engraved with "Macon County" and is surmounted by a sculpted eagle that sits atop the shaft. The memorial, which was dedicated on November 13, 1921, is unusual for grouping the dead by location of their deaths. At left are listed "Died in France" followed by 24 names. The right column lists those "Died in U.S.A." (18 names), followed by "Died at Sea" (1 name), and "Died in Siberia" (1 name). The memorial is segregated. "Colored" soldiers are listed separately at the bottom, also divided by place of death: "Died in France," at left, followed by two names, and "Died in U.S.A.," at right, followed by one name. The memorial was funded in part by a $1,000 appropriation made by the state legislature to counties that raised at least an equal amount for such a monument.